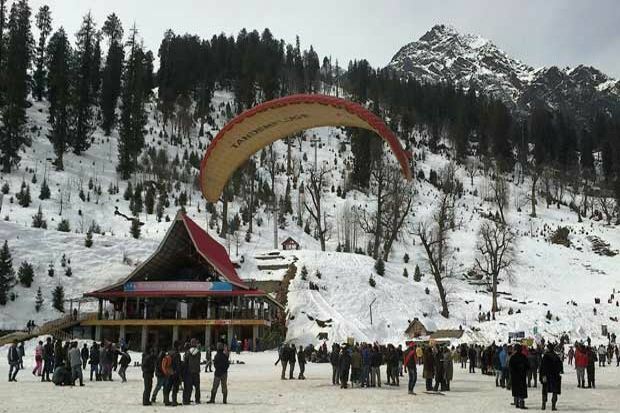 The base camp for YHAI Sar pass National Himalayan trekking is at Kasol near Manikaran in Kullu district of Himachal Pradesh. The base camp is located at the banks for river Parvati. 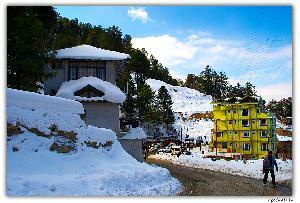 Kasol can be reached either from Bhuntar or Kullu (on the way to Manali from New Delhi) which is 35Kms away. After Bhuntar, take right side road to proceed to Kasol in the Manikaran road before crossing a bridge (which goes towards Kullu) on Beas river. Before reaching Kasol base camp (4 to 5 kms) there is a very good restaurant constructed (with wood) beside the valley. It is worth visiting the restaurant and have refreshments. All kind of menu is available with lodge facility (not opened until end of April-2009). 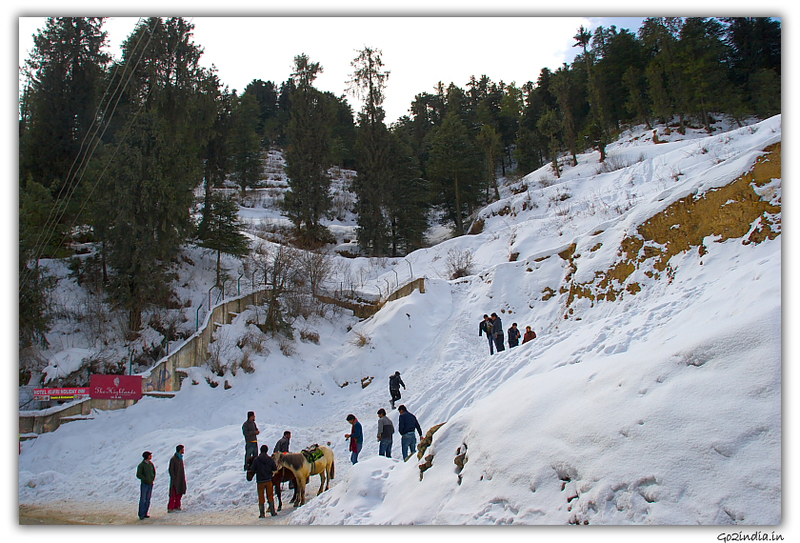 All kind of facilities are available at Kasol. We observed many foreigners who stayed there for trekking purpose. 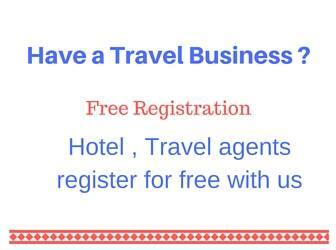 Booking of air, flight and rail, internet browsing, CD and DVD burning, clinic, woolen garments etc� can be found nearby. One hour laundry facility is also available. There is a hot water spring nearer to the camp. 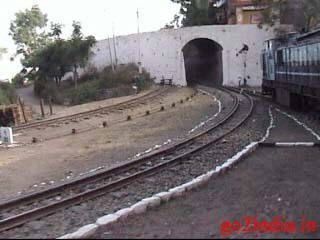 One has to walk a Kilometer distance and cross a bridge to reach the place. 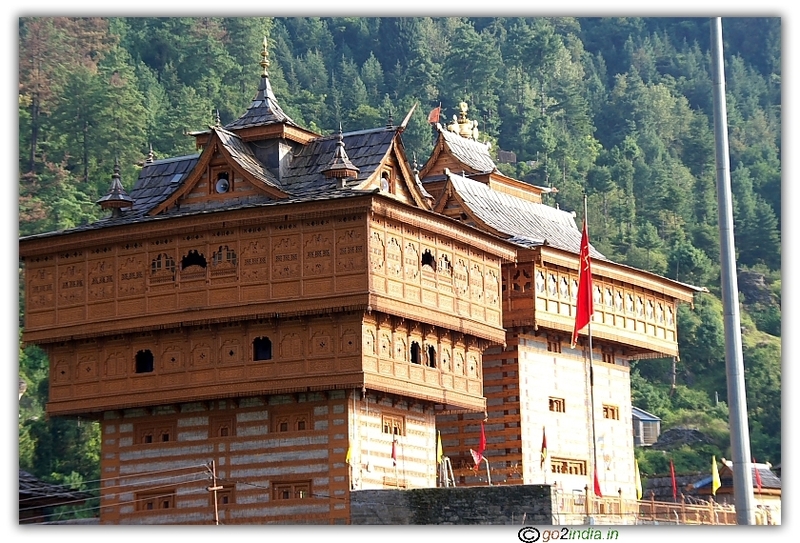 Both the side of the camp, Parvati vallies are visible. 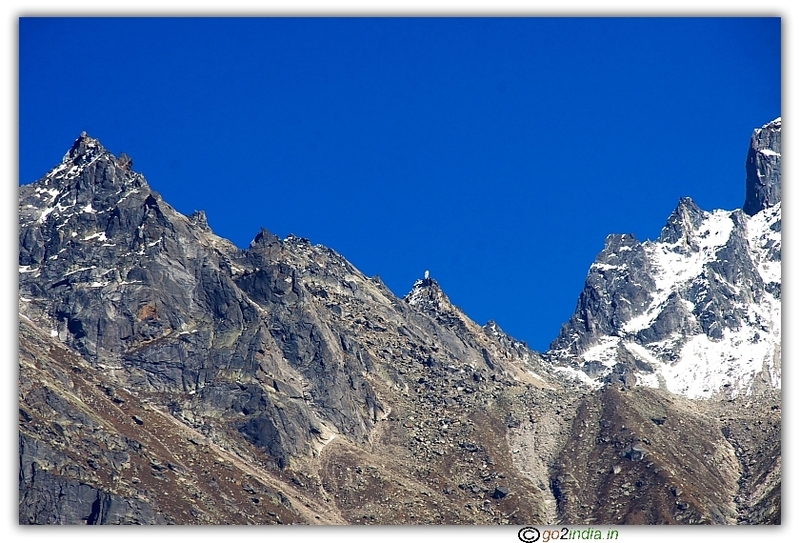 The ice covered peak called Pin Parvati can be seen from the camp site. As per YHAI, Kasol is at a height of 6500ft from sea level. First, one will see the reception counter on entering the base camp site where registration process is done. The member needs to fill up the check in form and ID card along with the photo (one photo to be pasted on the ID card and one is to be handed over). The tent number will be allotted at this time after registering. Normally registration will be allowed during the entire day of the reporting date. Sometimes ID cards are issued immediately and in some occasions the same will be issued in the next day. We got our ID cards just before leaving to higher camps. Normally the group leader collects all ID cards and keeps with him. On visiting each higher camps, the higher camp leader signs on each of the ID cards. If any member misses any signature from any of the camp leader at higher camps, this will be considered as that member has not visited that particular camp and will be treated as his trekking is incomplete. Each member will be given two blankets, one sleeping bag inner (to use in higher camps with sleeping bags), and one rucksack. If the member has his own rucksack, he can return it back on the spot. All these issued items are registered in a register against the member ID (in different group) and signature will be taken. During 2009 (April, May), nearly 20 tents were made for trekkers (YHAI members) out of which 5 were exclusively for ladies. Other than these, one tent for the Field Director, one at reception, one for storing blankets, rucksacks, and other items are also made. One exclusive tent was being used for cooking. Drying of clothes on tents is not allowed. Members are supposed to use a wooden structure which is available at the back side of the tents to dry their clothes. All the tents are doubly covered with water proof thick material at the top and well supported at all side. The ground part is covered with a thick water proof material and over that blankets are put. There is a small building at the back side where a small room is used for safe guarding the luggages of trekkers when they proceed to higher camps. Bathrooms and toilets are separately kept for men and women available in sufficient number. At times, when members in a group increase, there will be queue for bathrooms and toilets during early hours. Hand wash is separately available at the outside of the bathroom area with look up mirror facility. One wash basin with look up mirror is available inside the bathroom also. Dust bins are provided at proper places. Members are supposed to keep the area clean. Each day evening, one group will be nominated to clean the entire premises clean picking all left out garbages and putting in the dust bins. Drinking water facility is available separately with sufficient storage. At any given day, there will be members belonging to four different groups ( one group reporting that day, one group returning from higher camp, two groups in training) stay in the base camp. So, one will find nearly 200 to 250 members at a time in the base camp. Electric power points are provided just beside the reception counter with protection against rain. Preference is given to the group members who are about to leave the base camp to higher camps the very next day for charging their gadgets. We found the food at base camp very good. Morning tea is served at 5.30am sharp. Break fast at 6.30am. Group proceeding to higher camps get their lunch pack at 7.00am along with a sealed cover containing biscuits, chekkies, orange peppermints etc. Lunch will be served at 1.00pm. Evening tea along with snacks will be served at 4.30pm. Dinner is served at 7.00pm, campfire at 8.00pm and Bournvita (or some other kind of milk) just before campfire. There is no wood burning during camp fire as per YHAI tradition. Camp fire will be inaugurated by switching on the lights arranged at the mid of the camp site. Burning of wood is strictly prohibited. One of the person is nominated as chief guest and will be asked to inaugurate the fire camp. All kind of cultural activities are encouraged. The theme with national integration content is seen most of the time. Obscene and vulgarity are strictly prohibited in the cultural activity. Normal menu for dinner and lunch will be, Roti, Chapati, Puri (any one of these) along with vegetable curry (with or without gravy), rice with dhal, one sweet drink, pickle, some times eggs. We observed few people facing gastric problem who were not accustomed to wheat items like roti and chapati. But this was only for a short time and later they became adjusted to this kind of food. Normally the group which is proceeding to the higher camp starts at 8.30am (though the bus comes at 9.00am). Other group members residing in the base camp will wish them in the YHAI traditional way by clapping. Second and third day after reporting to base camp are the training days. Second day, morning there will be one hour exercise session. This includes free hand stretching and some breathing exercises. Two people are appointed (on contract basis) by YHAI for this purpose. This is carried out in a ground which is one kilometer away from the camp and will be reached by walking. Members have to come back to base camp and then proceed to a nearby hill area for acclimatization climbing. This is nearly 3 to 4 Kms climbing with some steeps. On reaching the peak, members will be asked to take rest for one to two hours. Drink is served here which is made up of a bucket of water and drink concentrates. Two guides accompany the group. No over takings allowed. Nobody should bypass the guide and overtakes him. We found few dogs in the base camp which are very friendly. One of those too came along with us and stayed. While descending we found they take a short cut to reach the base camp early and they even slide on the mountain grass. The group reaches back the base camp before lunch time. The second half is an orientation session. The Field Director gives very good information on trekking. All Dos and Donts are told to the members. This session is really helpful for the people who attend the Himalayan trek for the first time. The session will be for 2 to 3 hours. Third day too starts with morning exercise. Next activity will be rappelling at rocky area. The group has to walk a distance of one kilometer to perform rappelling. Three to four guides accompany the group. Sufficient instructions and proper aid is given for the group to perform rappelling. This is compulsory to all the members and really an enjoying event. Afternoon, in the same spot, rock climbing session will be performed. This is a real difficult task. This is not a compulsory activity as we found women avoiding it. Members who want to try were given sufficient instructions. Many members didn't try just to avoid any injuries which may happen on falling or scratching which may cause the main trek further difficult. The same day evening, each group member extra luggages are to be submitted in the luggage room. A sticker with serial number (two stickers with same number) is provided for each bag or suitcase for easy identification. One has to stick on the luggage and has to keep the duplicate with him safely. On return from the trek, the member has to produce the duplicate to get his luggage back. Normally, once the luggage is kept inside the room, nobody will be allowed to enter into the room without Field Director's permission. But, if somebody wants to keep some left out or forgotten things, they have to take the permission of the Field Director to enter into the room along with the store keeper. The luggage which will be carried by each member to the higher camps will also be inspected by the Field Director and The Co-Director for the weight. If they found the weight to be more, the member will be asked to justify and to reconsider the weight and his confidence for carrying the weight to higher camp. On fourth day, the blankets are to be returned to the store before leaving the base camp. The group has to proceed to higher camps and at sharp 8.30am the group will be dispatched with YHAI traditional clapping. The group has to stay at a bus station nearby for the bus which normally arrives at 9.00am. On returning to base camp from higher camps after completing the trek, one has to visit the reception. Members have to fill up the check out form and submit along with the ID cards. Tents will be allotted to those who want to stay in the camp for that night. Members can opt to leave the camp site in the same day if time permits. Central Government employees who are entitled for Special Casual Leave have to collect the Special Casual Leave form in a separate format. They have to give their names to the Field Director before proceeding to higher camps. Take care of the dates in the form for the leave period. Sleeping bag inner and rucksack (if taken) have to be returned to stores after returning from trekking. Blankets will be provided to those who stay for that night. Participation certificate will be issued individually in a valedictory function held during camp fire time in the same day. Member can share their experience to other groups. The last day the group disperses after breakfast. 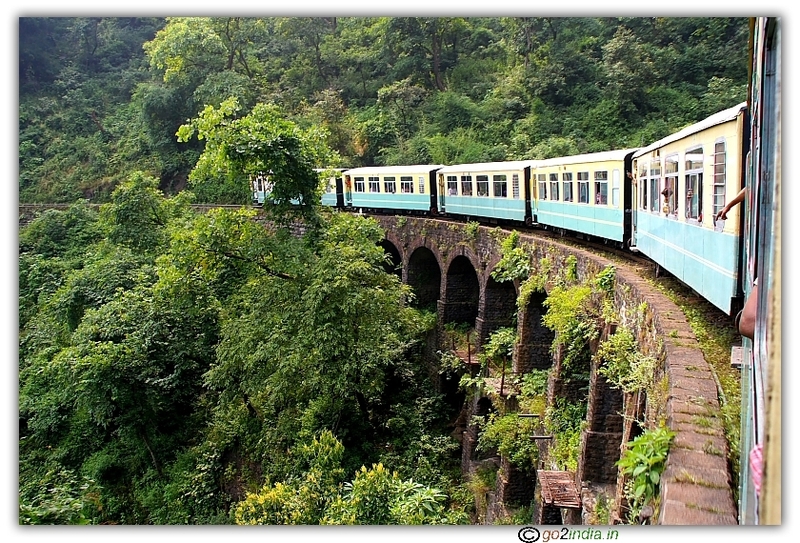 Very good bus facility is available from either Bhuntar or Kullu to Kasol. Board any bus whcih goes towards Manikaran. There is a stop at the camp site itself before Kasol main bust stop. Thanks a lot :) It is a clear and crisp writing.